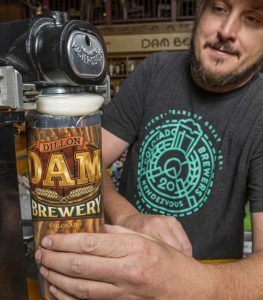 How to Buy DAM BEER! It’s a Can, It’s a 32oz Growler — It’s the Crowler! 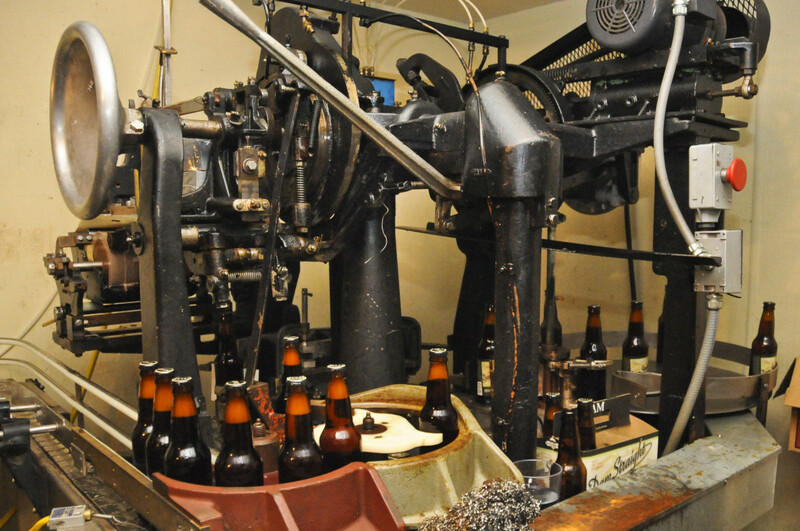 Pick any beer on tap (except for the Brewmaster’s special stash) and see the bartender can it right before your eyes. One BIG DAM CAN of beer. It’s freshly canned and the exact flavor that you want NOW. Fun for parties, gifts and just to take home. Prices include the can. Available only at the Dam Brewery. We do limited edition bottling of the rare seasonal and specialty craft beers, but also keep Here’s Your DAM IPA, Exit 205 Session Ale and McLuhr’s Irish Stout available. Great for parties and gifts. The rare flavors change often so you can always take home something new. Some styles are only available in a limited run of 200 bottles. Follow our Twitter account for bottle release dates. 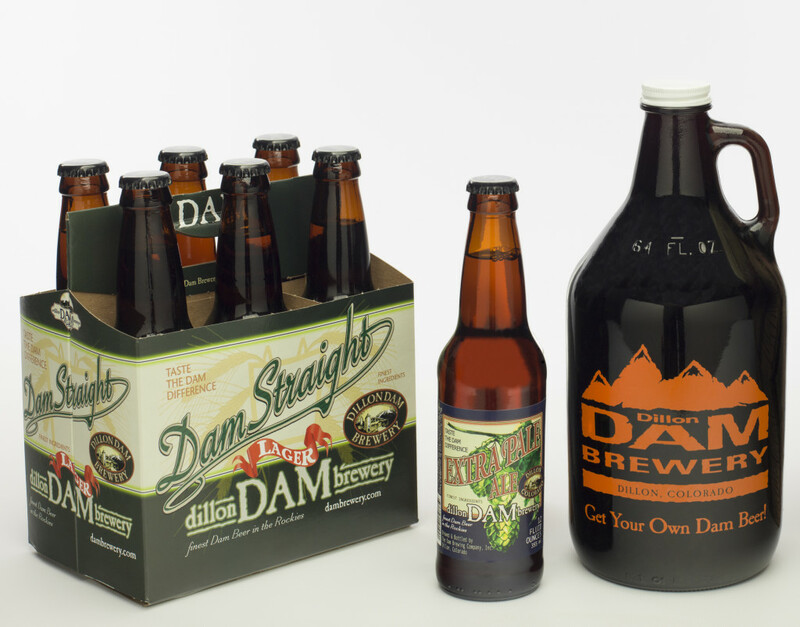 In six-packs we bottle Dam Straight Lager, Sweet George’s Brown Ale and Extra Pale Ale. 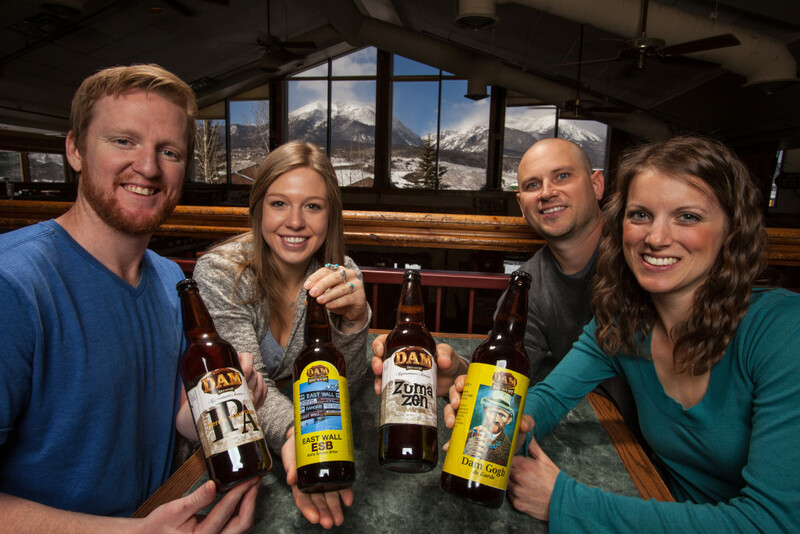 Available at the Dam Brewery and other Colorado liquor stores. Enjoy most Dam Beers when you choose these to-go containers. Very rare beers are available only in snifters or pints to allow more in-house guests to enjoy them. We offer four types: BPA free PET plastic, glass, stainless and HydroFlask Double Wall. Premium Growler: Our seasonal beers. 1st Fill from $17.50, Refill from $15. Ultra Growler: Small batch, specialty beers. 1st Fill from $27.50, Refill from $25. Dam Beer is available for your liquor store, bar or restaurant in selected regions of Colorado and is distributed by a professional beer distributor. Please contact Marc Weinberger, our Dam Sales Rep. Serving: Colorado Front Range, Fraser Valley. George F. Rutkey Distributing, Inc.
Buena Vista, Salida, Poncha Springs, Fairplay, and Leadville.